Bessie was born on 14 Sep 1895 in Pottawatomie County, KS. 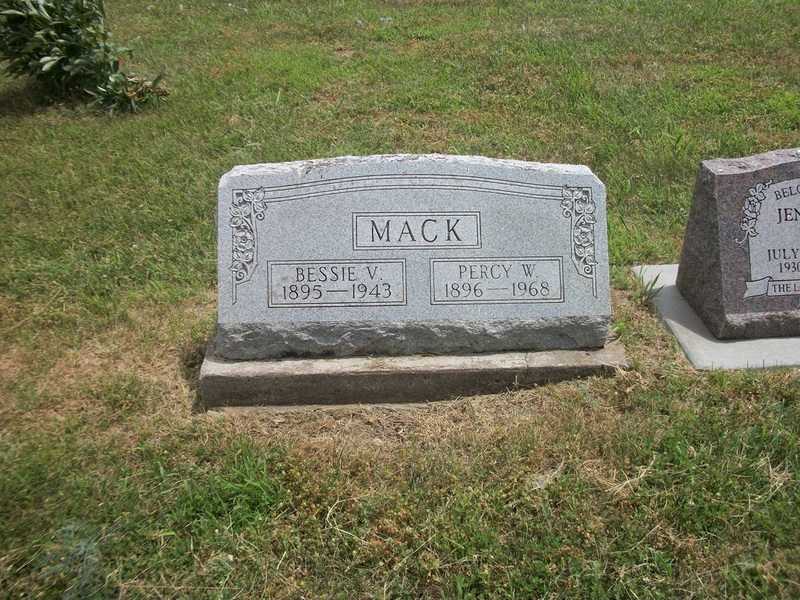 On 28 Sep 1915 in Onaga, KS she married Percy William Mack. [For those descendants of 1.1 Ralph Clark who married Cora Mack, Cora and Percy were cousins. Cora's dad, Gara Baldic Mack, was a younger brother to Percy's dad, William F. Mack] Together Bessie and Percy had six children. Because of our relationship with the Mack's, I have more stories on Percy than I do on Bessie. Percy and Bessie certainly had their share of difficult times. At the age of 21, Percy was shot in the groin by his brother-in-law, Ben White (a full-blooded Pawnee Indian with a bad temper) and he carried the bullet throughout his life. He left the Mack farm in the 20's and bought a leather shoe repair and harness shop in Centralia, KS. But the depression took its toll and the shop closed, so Percy turned to hauling freight to and from the train depot for local stores. Finally, in 1933, Percy and Bessie moved back out to the country and Percy worked on the farm of Bessie's uncle, James Milligan Clark. Just as things were looking up for the Macks, Percy's team of plow horses ran away with him and he broke his ankle. From this break, he nearly died from blood poisoning, which would recur many times throughout his life. Basically, his ankle never really healed properly leaving him crippled. Moving to Harper, KS, Percy ran a successful repair shop when Bessie had to undergo gall bladder surgery. She never recovered and died at the age of 48 on 17 Nov 1943. Percy passed away at the age of 72 on 26 Jan 1968. 8.1 - Wilbur Francis Mack was born 4 Jan 1918 in Onaga, KS. Wilbur was born with a congenital heart defect. On 19 Jan 1934, he died at the age of 16 of a heart attack while attending high school in Onaga. 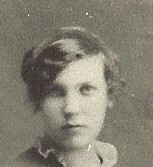 8.2 - Wilma Elizabeth Mack was born 9 Sep 1919 in Onaga, KS. 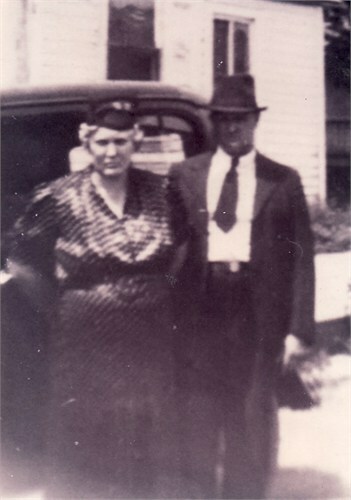 On 23 Dec 1936 in Onaga, she married Gerald Denny Brenner (born 3 Apr 1905 in America City, KS). They divorced on 8 Nov 1961 in Holton, KS. Gerald passed away on 19 Jul 1975 in Mayetta, KS. Together they had two children. 8.2.1 - Donald Dean Brenner was born on 24 Feb 1939 in Holton, KS On 17 Jan 1959 in Topeka, he married Wilma Sue Cox (born 6 Jan 1942 in Mound City, KS) They divorced in 1969 in Topeka. Together they had two children. 8.2.1.1 - Donna Sue Brenner was born on 8 Apr 1959 in Topeka, KS In Mar 1978 in Topeka, she married James Eteeyan. They divorced Mar 197 in Topeka. Together they had one child. 8.2.1.1.1 - Christina Dawn Eteeyan was born 27 May 1978. 8.2.1.2 - Curtis LeRoy Brenner was born 24 Aug 1948 in York, NE. On 27 Sept 1969 in El Monte, CA he married Barbara Ann Mayer. They later divorced in 1971. On 23 Jan 1972 in Topeka, he married Victoria Ellen Taft. They divorced in 1974. On 28 May 1977 in Newton, KS he married Verda Mae Reimer (born 16 Oct 1952 in Newton. Together they have one child. 8.3 - Mary Eleanor Mack was born 9 Feb 1923 in Centralia, KS on 3 Mar 1945 in Paris, TX, she married Domenic Quaglieri (born 18 Jun 1922 in Providence, RI). Together they had four children. 8.3.1 - William Francis Quaglieri was born 6 Oct 1945 in Westmoreland, KS. On 30 Oct 1971 he married Meredith Mosselin. Together they had five children. 8.3.2 - Robert Dee Quaglieri was born 1 Oct 1947 in Providence, RI. On 12 Apr 1969 he married Gail Henderson. Together they had one child. 8.3.2.1 - Mark Allen Quaglieri was born 4 Feb 1970. 8.3.3 - Ronald Eugene Quaglieri was born 14 May 1949 in Providence, RI. He married Jacquline Benoit. 8.3.4 - Sandre Jean Quaglieri was born 25 May 1960 in Providence, RI. She passed away at the age of 8 on 18 Dec 1968 of cancer. 8.4 - Colleen Mae Mack was born 13 Mar 1927 in Centralia, KS. on 24 Nov 1945 she married John Americo Petrarca (born 3 Jun 1924 in Natick, RI. Together they have nine children. 8.4.1 - Rose Marie Petrarca was born 6 Aug 1946 in Fort Hood, TX. on 18 Jun 1972 she married Joseph Burley Clark (born 8 Aug 1949 in Providence, RI). 8.4.2 - Joann Petrarca was born 9 Jun 1948 in Providence, RI. On 5 Nov 1966 she married Antonio Fernando Alfonso. They divorced 6 Jun 1971. Together they had three children. 8.4.2.2 - Kelly Ann Alfonso was born 13 Aug 1969 in Providence, RI. On 20 Jan 1979 she married Theodore Joseph Lavigne (born 10 Mar 1951 in Providence, RI. Together they have one child. 8.4.2.4 - Geraldine Mae Petrarca was born 10 May 1951 in Manhattan, KS. On 11 Oct 1971 she married Russell Joseph Buccheri (born 2 Dec 1946 in Brooklyn, NY). Together they had two children. 8.4.2.5 - Kathleen Petrarca was born 11 Jun 1952 in Manhattan, KS. On 5 Jan 1974 she married Gary James Butola (born 3 May 1953). They divorced 21 Aug 1981. Together they had one child. 8.4.2.6 - Steven Alan Petrarca was born 17 Nov 1954 in Providence, RI. On 16 Aug 1975, he married Robin Elizabeth Briggs (born 13 Dec 1955 in Warwick, RI). Together they had two children. 8.4.2.9 - Patti Ann Petrarca was born 15 May 1960 in Providence, RI. 8.5 - Jessie June Mack (twin) was born 1 July 1930 in Corning, KS. At 3 weeks old, Jessie passed away on 21 Jul 1930. 8.6 - Jennie Jane Mack (twin) was born 1 July 1930 in Corning, KS. On 21 Jun 1948 in Council Bluff, IA, she married Doyle Wilbur Hickman (born 27 Aug 1915 in Soldier, KS). Together they had two children. 8.6.1 - Troy Wilbur Hickman was born 19 Sep 1949 in Holton, KS. In Aug 1965, he married Lorraine Daws. They later divorced. Together they had one child. Sommers. Together they had one child. 8.6.2 - Doyle Francis Hickman was born 8 May 1952. In a motorcycle accident at the age of 25, Doyle passed away on 1 May 1978.